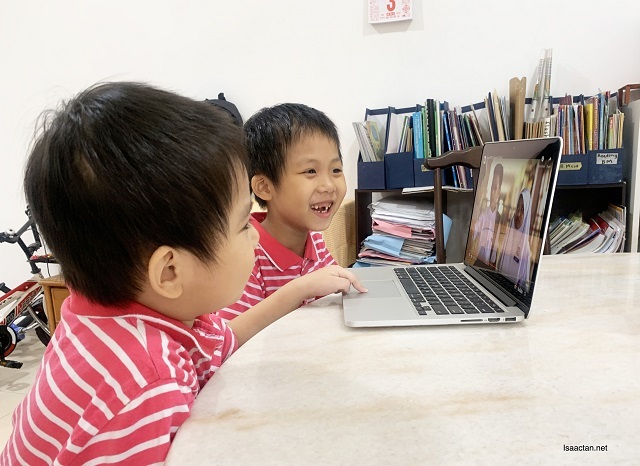 Getting online and being online is synonymous with the current generation of students, and it's pretty much what our kids will grow up with. If they are already going to go online, why not gear them towards educational platforms and sites. I've recently heard news about the new JomStudi Digital Learning Platform, a collaboration between Astro, Digi and Media Prima to bring multiple education resources into a single platform. Pretty cool stuff, one which I did not hesitate to introduce to both the kids, Martin and Karlson. JomStudi (www.jomstudi.my) was conceptualised as a response to the changing learning landscape where the internet has become the go-to tool for students to get information. Through JomStudi, my kids can have access to some cool learning programmes, giving them an opportunity to expand their knowledge. The platform is developed and managed by Digi. A quick registration on the platform, and together with my kids, we were all set to explore the learning videos! There's three different places to go to from the landing page of JomStudi. Astro’s Tutor TV is a fun, interactive channel that educates students in the country. It consists of 3 modules, namely Astro Tutor TV UPSR, Astro Tutor TV PT3, and Astro Tutor TV SPM. A quick registration, and we're all set! Meanwhile, FullAMark is an online learning portal that enables students to access revision exercises based on four core subjects of UPSR, PT3 and SPM. I was pretty taken in by the Digiworld learning site and Astro TV, versus the other two, Fullmark & MDEC. This is mainly due to the fact Martin is only in Standard 1, and the other sites are geared towards more advanced learnings. Love how the learning videos play out, being really high quality when we play it with a strong home broadband. Having loads of fun while learning! We always want our child to be able to learn by him or herself, learn up fast with a good experience too. With JomStudi, it's very much “self-learning oriented” with features that will help enhance a student’s learning experience. We have the rewards badge, where students get to collect different badges as a reward for completing their assignments. There's even a personalised dashboard where students or their parents (us!) have a complete view of their progress on the different activities they are currently doing or have done. Specially for Digi users, Digi is offering free internet to JomStudi website from 2-8pm every day. Collect digital badges, stay motivated! Everything's pretty interactive. If you haven't checked their site out yet, head to www.jomstudi.my today! 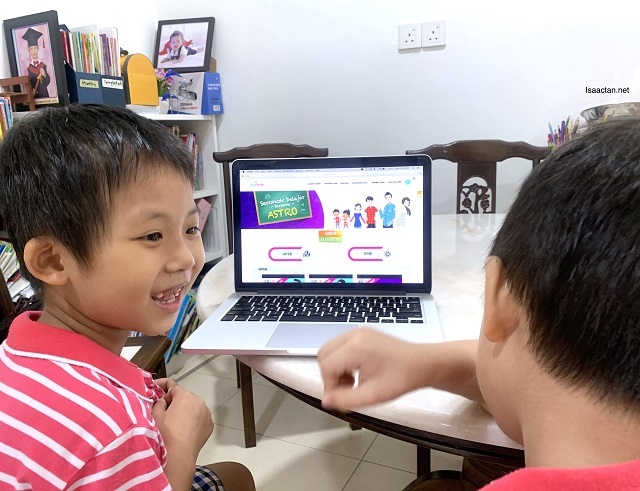 JomStudi is touted to be the forerunner of Malaysia's digital learning, a digital learning hub that aggregates quality educational content to be made accessible to all students. Both Martin and Karlson loves navigating the platform! So nice these days, so interesting and exciting, not like during my time.